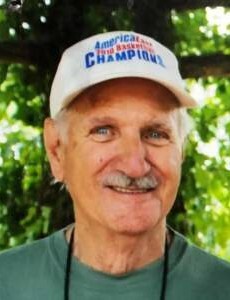 Obituary for John Joseph St. Paul | Doolittle Funeral Service, Inc.
John Joseph St. Paul, 83, of Cromwell, beloved husband of Laura (Lassen) St. Paul, passed away on Saturday, January 19, 2019 at Middlesex Hospital. Born in Portland, he was the son of the late Joseph and Viola (Schmidle) St. Paul. John is survived by two sons, Brian D. St. Paul and his girlfriend, Brenda Taschereau of Cromwell and John D. St. Paul and his wife, Teresa of Cromwell; a sister, Joyce McKusick of Simsbury and two grandchildren, Camryn St. Paul and Ashley St. Paul. Along with his parents, John was predeceased by three brothers, Joseph, Robert and Michael St. Paul. Family and friends may call on Wednesday, January 30 from 5:00 to 7:00 pm at the Cromwell Funeral Home, 506 Main Street, Cromwell. A graveside service will be held on a date to be announced. In lieu of flowers, donations in John’s memory may be made to Make A Wish Foundation of Connecticut, 126 Monroe Turnpike, Trumbull, CT 06611. To share memories or send condolence to the family, please visit www.doolittlefuneralservice.com.